Last year I thought I was lucky when I shot a dragonfly in midair, but it turned out that Karins pool is THE spot to witness more happenings in the lifeof dragonflies. 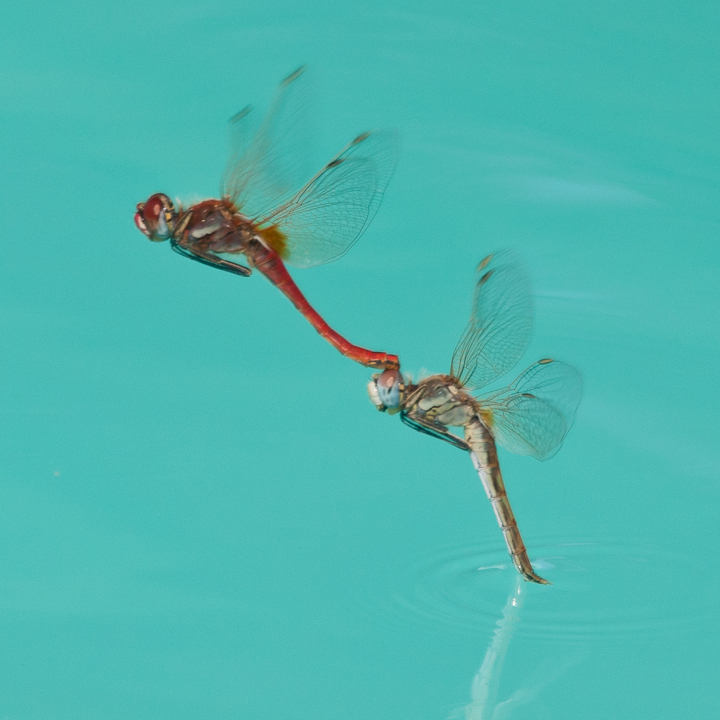 There were constant fights about the territory – two male insects doing unbelievable maneuvers over the pool. Here you can see a couple on the way to the oviposition. I got more shots that are a tuck sharper, but I like the female insect touch the watersurface. And, did I mention that I have to get a macro lens? This was shot with my 500mm…..